A group of iCRAG members (UCC, TCD, NUIG and UCD) in partnership with the Open University have created a new collection of Irish rocks and associated learning materials for the virtual microscope of Earth Sciences. 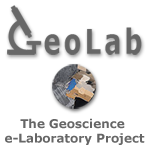 The project which is entitled “The Geoscience e-Laboratory (Geo-LAB): Developing Digital Teaching and Learning Resources for the Virtual Microscope” seeks to develop open access teaching resources in the form of interactive exercises and assessment rubrics for the virtual microscope. The team look forward to engaging with the Irish geoscience community the coming months to seek support and advise on how to best develop teaching resources for the virtual microscope.